Did you know that 46% of 80+ year olds can’t lift more than 5 kg? According to the American College of Sports Medicine (ACSM), strength training is one of the most important element of exercise for men and women over the age of 65. 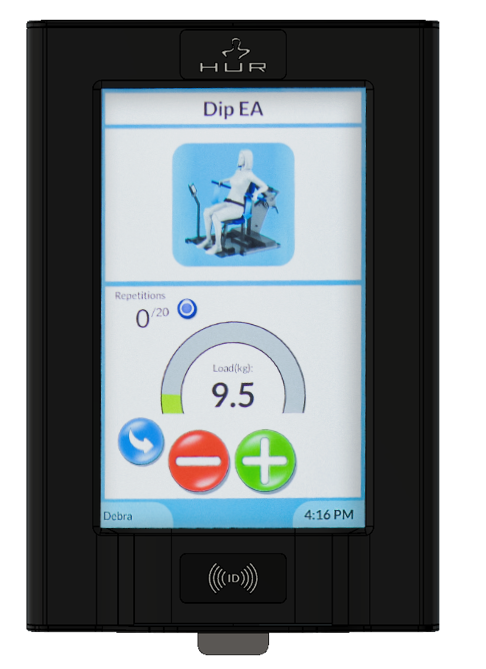 HUR's most developed range – HUR Premium Line – offers world-leading university level equipment that are used for senior exercise and rehabilitation. HUR SmartTouch Hi5 strength training equipment leads the way for smart exercise solutions in the fields of active ageing, senior exercise, rehabilitation and inclusive wellness. The new equipment is designed to further enhance usability and training experience for selected user groups. Crucial for efficient and safe training and operating within these fields is to have a computerized system for automated reporting and possibility for individual safe training with pneumatic resistance – as well as zero starting load and 100g/1kg increments in resistance, as well as range limiters and additional support. Learn more about the technology and the reasearch behind the equipment.